For some industries, a “mobile-only” approach is becoming the norm. Therefore it's important for PPC managers to think about and understand how they can create campaigns with these specific users in mind. It’s no secret that meeting the needs of mobile customers becomes more important every year. “Mobile-first” design was a major step towards better mobile experiences for customers – but for some industries, a “mobile-only” approach is becoming the norm. In fact, according to a 2018 report by comScore, mobile-only traffic has now eclipsed desktop-only traffic worldwide (30% vs. 24%). According to the World Economic Forum, an astonishing 68% of ecommerce in China is conducted with mobile-only payments, with mobile-only transactions equalling $790 billion in 2016 – 11x the revenue in the United States. Obviously, this doesn’t hold true for all sectors and products; the majority of businesses still need to consider and optimise for multi-device performance as most users still use multiple devices. However, by splitting out campaigns into different devices, companies can uncover deeper insights from this rapidly growing traffic share. 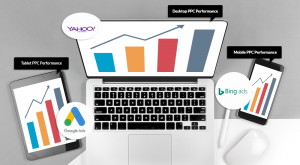 Investigate differences between mobile, tablet, and desktop traffic. 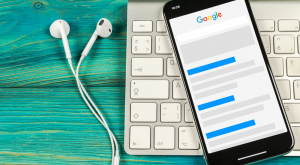 If it’s clear that mobile traffic is under performing or outperforming when compared to desktop or tablet traffic, it might be worthwhile creating a separate campaign just for mobile traffic. By doing this, you can iterate with more focus on improving mobile conversions. Dig into your highest converting keywords. On average, 80% of conversions stem from 20% of your keywords – otherwise known as the Pareto principle. In this case, it’s worthwhile to split campaigns by device type in order to maximise conversion opportunities for these valuable keywords. Consider the unique value that mobile customers offer. If you are a business that relies heavily on inbound calls for your sales flow, then it’s definitely a good idea to create mobile-specific campaigns, add call extensions and set up call tracking. If you’re an e-commerce company using shopping campaigns, splitting by device type can help identify gaps in performance and opportunities for optimisation. If the data above points to potential wins for your product or business, now it’s time to build out your mobile-only campaigns. Mobile traffic intent can differ substantially from desktop traffic, and optimising UX needs for mobile customers requires a different approach. To start, build your keyword strategy around action-oriented keywords. More than half of all mobile search traffic is looking to make a purchase within the hour. From there, you can target this high-intent segment more directly and capture more of the share of these clicks. Then, while configuring the campaign create device bid modifiers to exclude traffic from non-mobile devices. Next up, use relevant ad extensions to capture more space on results pages. On mobile, pixel space on the SERP becomes increasingly important. Make sure that your ads take up the most space by using extensions that increase visibility on mobile screens. Some particularly good ones are: Price Extensions, Sitelinks, Promo Extensions, Call Extensions, and Location Extensions (if relevant). If your company has an app, be sure to use App Extensions to increase install volume. Review your language. For key CTAs, consider using “tap” or “swipe” instead of “click” in your ads or on your landing pages. Your call to action should be very simple and easy to understand. Optimise your landing pages for speed and information access. Mobile traffic often isn’t using the most reliable connection speeds, so be sure to keep your mobile landing pages lightweight with quick load speeds. Now, as with all PPC campaigns, comes optimisation. Every customer persona has slightly different needs. Be sure to capture enough granular conversion data and split it by device type and keywords to review. Using this data, you can continue to improve the CTR of every single touch point – and unlock the ever-increasing value of mobile-only customers.